A repressive atmosphere leads authors to self-censor, avoiding more controversial topics. And that is precisely the reason that it is important to protect authors from being silenced, writes Elizabeth le Roux. Book launches are usually quiet, often poorly attended, affairs. However, as we saw this week at the launch of Pieter-Louis Myburgh's book, Gangster State (Penguin Random House), authors of controversial books, especially on political topics, are finding their launches disrupted by groups vehemently opposed to their views. In contrast to the usual book launch audiences, they are not prepared to debate these issues but rather resort to intimidation, vandalism and the threat of greater violence. Similarly, last year Jacques Pauw received threats of legal action from the State Security Agency and even death threats, after the publication of his exposé The President's Keepers. Authors have also been harassed and shouted down at launches and book discussion panels. The aim of intimidation is to silence opposing views. In South Africa, we have a mixed history when it comes to limits on freedom of expression. During the apartheid era, the government enacted restrictive legislation with the specific aim of stifling criticism. Under the Publications and Entertainment Act 26 of 1963 and the later Publications Act 42 of 1974, books could be censored both before and after publication. Troublesome authors could be – and were – monitored, banned, harassed and forced into exile; some, like Rick Turner, were even murdered. Librarians were compelled to burn 'undesirable' books, and bookshops were discouraged from stocking them. In spite of this, we saw vigorous debates on censorship, and many critical works were able to circulate internationally, if not on local bookshelves. So is this a return to apartheid-era tactics? The current attacks are not the same as the state-sponsored suppression of books in the apartheid period. For one thing, they do not appear to be coordinated by the government or the ruling party. The protesters disrupting Myburgh's launch may have done so in the name of loyalty to ANC secretary-general Ace Magashule, but their actions were not instigated or condoned by the party (at least officially). Another difference may be that such protesters could face reprisals themselves, rather than acting with impunity. A third key difference is that, with ubiquitous social media and a robust press, the eventual effect may be amplification of the book's message, rather than suppressing it. These protests are not isolated to South Africa, but part of an international trend. According to PEN International, such attacks on authors reveal a growing intolerance of different viewpoints, and a greater propensity to violent means of repressing such views. PEN documents cases of what it calls "writers at risk", and these make for disturbing reading. The most recent report lists 218 attacks on freedom of expression in a single year, 2017, spread across every continent: "Writers have been murdered. 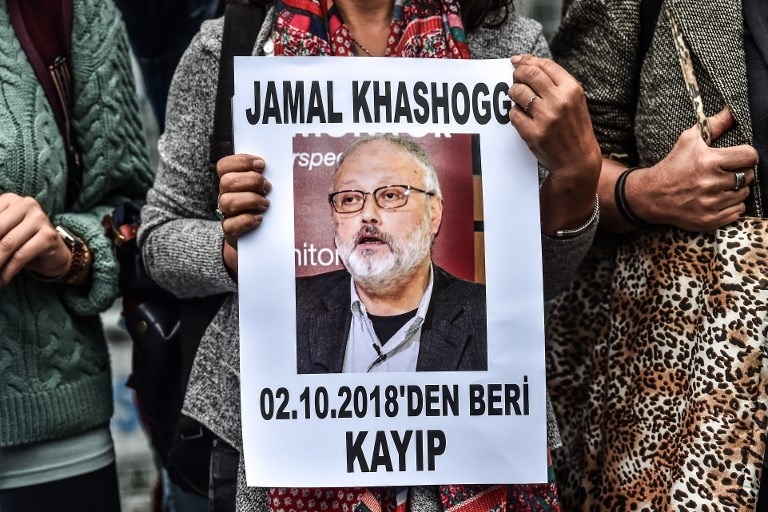 Many writers and journalists have been imprisoned, detained without trial, and threatened with lawsuits, and the powerful continue to attack those who express themselves freely." Recent examples of the oppression of authors' freedom of expression include the murders of two journalists in Mexico in 2017 and the detention of writers in countries like Iran, China, Vietnam, Egypt and Turkey. There have been book burnings and the destruction of books too. In 2015, for instance, Isis militants destroyed a library in Mosul, an incident which echoed the burning of manuscripts at a library in Timbuktu in 2013, by Islamic insurgents. Increasingly, the attackers are non-state actors – groups of people who disagree violently enough with a writer's politics or views to take matters into their own hands, but who are not acting on behalf of the government. However, even without going to the extreme of physical attacks, authors around the world are reporting experiences with threats and intimidation, often through social media. A 2018 study showed that one in two German writers had experienced personal attacks, threats of violence and intimidation. This repressive atmosphere leads authors to self-censor, avoiding more controversial topics. And that is precisely the reason that it is important to protect authors from being silenced. We need to remain vigilant about protecting our authors and their freedom of expression, so that differing viewpoints and unpopular investigations can continue to be aired in public. I don't think we should conclude that the recent protests are an indication that our democracy is in trouble in South Africa. Rather, they show that telling the truth and writing about corruption are dangerous occupations world-wide. - Dr Elizabeth Le Roux is a senior lecturer in the Department of Information Science at the University of Pretoria.